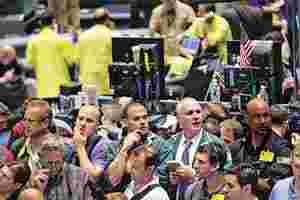 London: Oil hit a four-week high above $78 (Rs3,650) a barrel on Monday as colder weather across the US and signs of economic recovery helped boost the outlook for fuel demand. Oil has risen more than 12% from a dip below $70 two weeks ago on expectations of rising consumption and falling inventories. A US government report last week showed a larger than expected fall in crude stocks. “The market is getting support as a cold wave in the US north-east is projected to boost demand," said Tomokazu Amano, an analyst at Mitsubishi Corp. Futures and Securities in Tokyo. US crude rose 30 cents from Thursday’s close to $78.35 by 10.40 GMT, after earlier touching $78.68, the highest since 1 December. Trade was closed on Christmas Day. Brent crude was up 40 cents at $76.71. Near-to-below-normal temperatures are expected across much of the US in the next several days, according to forecaster Meteorlogix earlier on Monday. Oil is near the upper end of the $70-80 range that Saudi Arabia, the largest exporter in the Organization of the Petroleum Exporting Countries, has said is comfortable for producers, consumers and investors. Besides cold weather, signs of China’s economic recovery added to the supportive backdrop for prices. Profits at Chinese industrial companies returned to growth in January through November, offering clear evidence of a stronger recovery for the country’s businesses, data showed on Monday. Russia has scrapped January oil exports via Ukrainian ports and also said it fears Ukraine will have problems paying for its gas, a sign of a possible repeat of New Year gas rows which have in the past led to supply cuts in Europe. The dollar edged lower against a basket of currencies. Oil has often risen this year when the dollar softens as it makes crude more affordable for holders of other currencies.